Hybrid car maintenance requires unique services, expert knowledge, and specialized equipment. To achieve optimal fuel efficiency, hybrid vehicles rely on many hybrid-specific parts that are not found in conventional internal-combustion vehicles. As part of our ongoing effort to provide our hybrid owners with the best service possible, we now have an on-site hybrid car repair specialist. 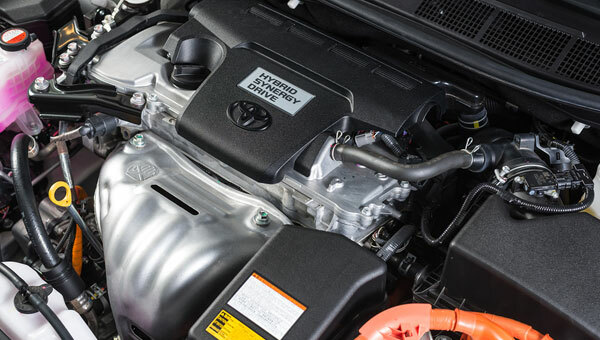 Our hybrid specialist is an ASE-certified Master Technician with over 35 years of experience and a certification in Toyota hybrid technology. Not only does he have extensive hybrid training, but he also stays up-to-speed on the latest innovations in hybrid technology, making him an expert at accurately diagnosing and repairing a wide range of hybrid issues of all makes and models, from troubleshooting inverter issues to installing/replacing hybrid batteries. Advanced Auto Care has been providing Lake Elsinore and surrounding areas with high-quality car repair and maintenance services since 1999. We are known for our outstanding customer service and competitive pricing. We do everything we can to accommodate our customers. Walk-ins are welcome, but we encourage our customers to schedule an appointment for convenient hybrid car services with our hybrid specialist. We offer free shuttle services to all Advanced Auto Care customers within a 7-mile radius of our Lake Elsinore repair shop. If you live in Wildomar, Canyon Lake, and surrounding areas and fall just outside of our 7-mile radius, give us a call and we’ll see what we can do! Call us today for first-rate hybrid car repair and maintenance services in the Lake Elsinore area at very affordable rates. I needed a smog check and found Advance Auto Care on the web. I looked up the web site and info to contact them. I called and was greeted by Steve on the . . .